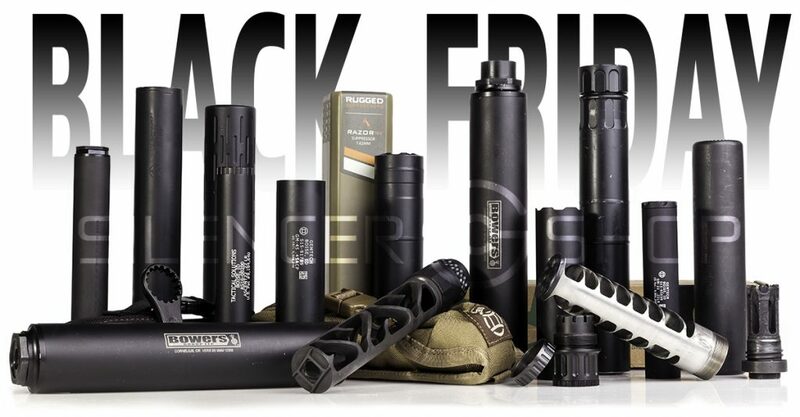 As a good follow up to last week’s post about the hope for action on the Hearing Protection Act of 2015, Silencer Shop is currently having a pretty noteworthy Black Friday sale from now until 11:59PM CST on 28 Nov. If you’ve been thinking about getting a can, it might be worth it to go ahead and pull the trigger this weekend. 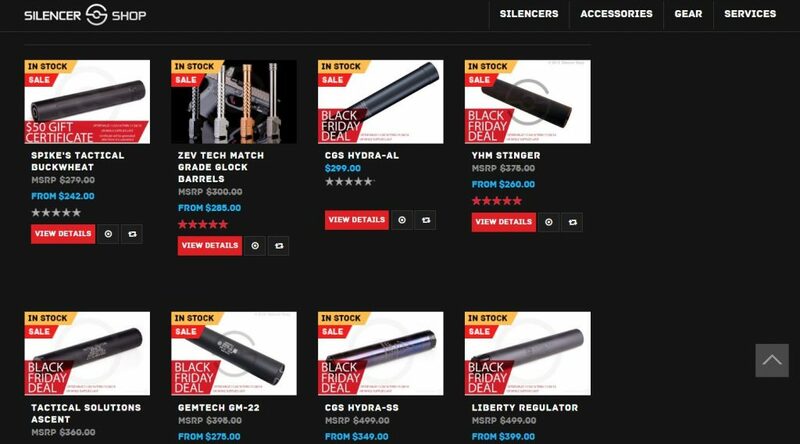 In case you haven’t shopped here, or looked too closely, at how Austin, TX based Silencer Shop works, they not only have one of the widest selections of in-stock suppressors available, but a large dealer network that can handle all of your Form 4 paperwork, plus a new Kiosk system at specific dealers which allows you to handle fingerprinting on site, and finally a mobile app that lets you take and submit an ATF approved photo, so no more going to Walgreens for passport photos. They’ve got 2 pages of good on sale deals at the moment, although some of the more desirable options are already Out-of-stock (looking at you Gemtech Multimount 9). If you’re looking for a lightweight & compact .45ACP can, the GM-45 is still in stock, and lited for a very attractive $499, and the Liberty Cosmic is going for $664. If you find something there you want (the easy part) and can afford (come on, you can’t beat these prices! 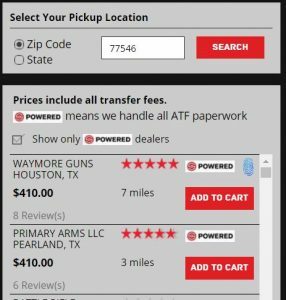 ), you’ll need to select a dealer on the left side menu after selection options. Prices may vary slightly, as this includes transfer fees. You’ll want to selection one with the powered logo as this indicates a dealer that will work with Silencer Shop to handle all paperwork, and if available nearby, one with the Fingerprint logo, showing that they have a Kiosk on site. Once added to cart, you will be reminded that you require a tax stamp (for now anyway, COME ON HR 3799! ), which you will be able to add to the cart for $205. $200 of that is to the ATF, and $5 goes to Silencer Shop for setting up such an awesomely streamlined system for making NFA purchases. For more on that, see here. If you find any other good deals, be sure to comment below, or on our Facebook Page! Happy Thanksgiving, and good luck on Black Friday! NOTE: This is going to be a quick one, but I intend to expand on it by turning it into a catch-all list of CLEO contact information for every County in Texas, as I wasn’t able to easily find it when searching. 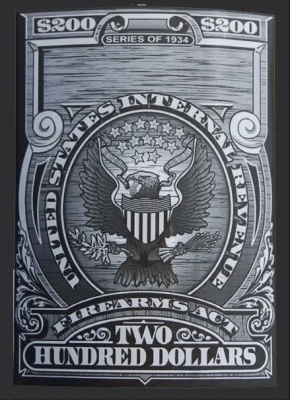 Since ATF rule 41P went into effect, not only are you not able to do Form 1s for a Trust online, but you now have to complete fingerprinting and provide a photograph just as if you were completing for an individual, additionally, each responsible person in your Trust needs to complete a Form 5320.23 with their own fingerprinting and photograph. The applicant (and each responsible person if applicable) is now required to perform CLEO notification, as well. If there’s one positive to come out of this, it’s that the CLEO notification requirement is now simply “notification” and no longer requires a sign off. How this works is- you simply copy your completed Form 1 / 4 / 5 prior to submission, and mail to your “Chief of Police, Sheriff, Head of State Police, or State or local district attorney or prosecutor.” In practice, the County Sheriff is usually the go-to on this. Previously, depending on where you live, you may have had to dance around to see which would sign off for you the easiest (if at all), and in the case of a trust with multiple responsible persons, that would have potentially been prohibitive by regulation- hence the easing it by only requiring notification. Unfortunately, as anyone who follows how ATF regulations goes, there isn’t a clear mechanism for determining this notification. The ATF put out an open letter to law enforcement letting them know, but there’s no legal guidelines for retention, thus no way to prove you’re in compliance if they don’t keep your records. Additionally, I know for myself, and I’m sure many others, I’d prefer local LE to not keep a registry of this, and in-fact man state laws prohibit this. So, for your own legal safety, BE SURE you send that CLEO notification registered mail, and retain the receipt of it with your records. Only you can CY(own)A.
Edit: Due to elections in Novemember, the Texas CLEO contact list by county may have gotten out of date, I’ll need to confirm that the contact information is good before reposting.